Today we saw our baby for the first time! It was incredible. It seemed like one second I was settling into the chair and the next I was gazing at this human being inside of me! The words the technician was uttering in Italian describing what we were seeing (while our friend did her best to keep up with translation), almost faded to the background as I was mesmerized by what I saw. We saw the little bursts of energy that represented the heartbeat and I felt a wave of relief as our pregnancy went from surreal to real. Just as I was getting used to this new reality, I saw one of the most amazing things I’ve ever seen. Our baby started kicking for us. With that sight my newfound joy finally found my face and I couldn’t stop smiling as I watched. How incredible is it that after 10 weeks God has already knitted our unborn child together in such intricate ways. It is less than a couple inches long and yet he or she has fingers and toes, functioning organs, and peach fuzz hair on his or her precious skin. What a crazy privilege to be carrying this child who is being fearfully and wonderfully made (Psalm 139)! 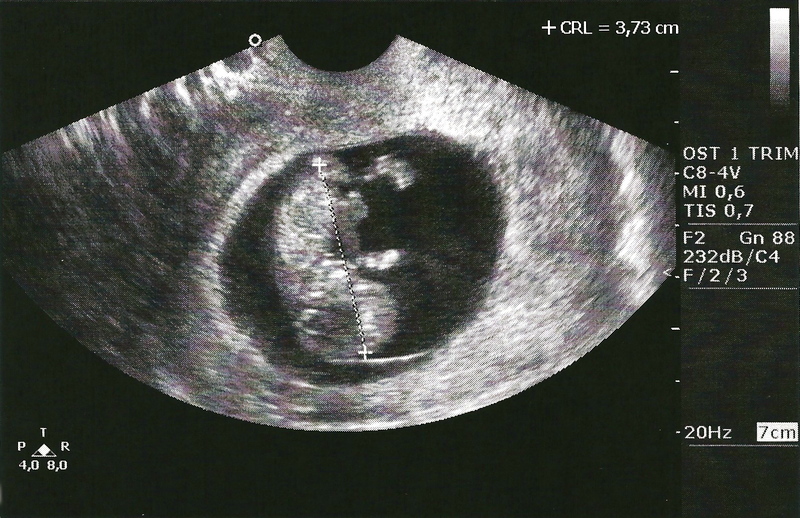 Then almost as quickly as it began, the ultrasound ended. I wanted to keep watching our baby but I settled for the pictures they printed for us and the incredible feeling of being this baby’s mommy. We walked out changed people, soaking in the goodness of the moment and glancing at the photos over and over as if to pinch ourselves to be sure it was all true. 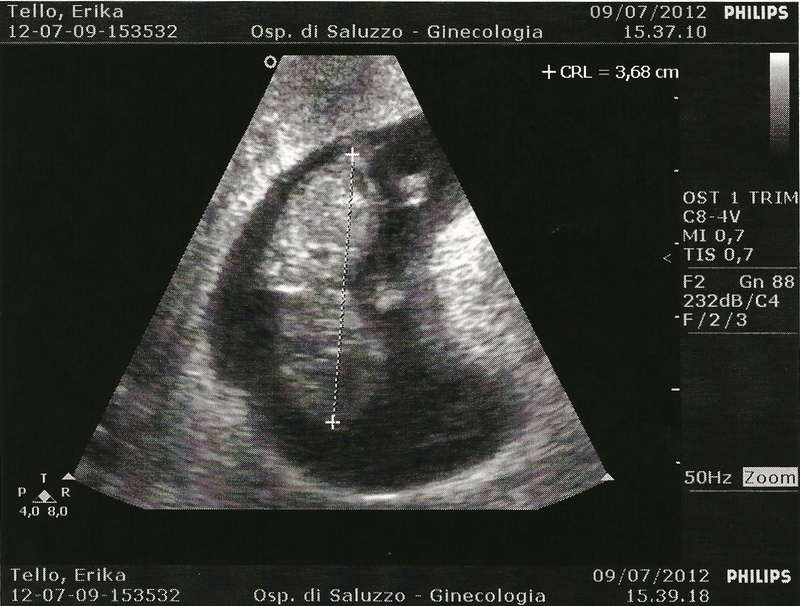 And now I proudly present to you, the first pictures of our baby! We are praising God tonight for a healthy baby and pregnancy thus far and looking with new expectation toward his or her expected arrival on (or around) January 31st!